1.“Intra-department communication and employees' reaction to organizational change: The moderating effect of emotional intelligence” published in Journal of Chinese Human Resource Management won the Outstanding Paper Award for Excellence 2013 by Emerald Literati Network. 2.2009, Best paper award of the proceedings of the 6th international symposium on Management of Technology (ISMOT), Oct.23-25, 2009. Hangzhou, China,193-197. Tang Chaoying, Wang Lu. An Empirical Study on R&D Team’s Creativity: the Role of Leader’s Empowerment Behaviors and Knowledge Sharing. 4.2005, Beijing Science and Technology Development Award (third level award), No.2005 soft -003-04. 5.2004，Excellent Performance Dean Award of the Chinese Academy of Sciences. 1.Tang, C., Byrge, C., & Zhou, J. (2018). Creativity Perspective on Entrepreneurship. In The Palgrave Handbook of Multidisciplinary Perspectives on Entrepreneurship (pp. 81-102). Palgrave Macmillan, Cham. 2.Tang, C., Li, Q., & Kaufman, J. C. (2018). Problem Clarity as a Moderator between Trait Affect and Self‐Perceived Creativity. The Journal of Creative Behavior, 52(3), 267-279. 3.Zhang, G., & Tang, C. (2018). Correction to: How R&D partner diversity influences innovation performance: an empirical study in the nano-biopharmaceutical field. Scientometrics, 116:1487–1512. 4.Zhang, G., & Tang, C. (2017). How could firm's internal R&D collaboration bring more innovation?. Technological Forecasting and Social Change, 125, 299-308. 5.Guo, L., & Tang, C. (2017). Employees' knowledge searching in professional virtual forums and in teams: A complement or substitute?. Computers in Human Behavior, 74, 337-345. 6.Wang, Y., Tang, C., Naumann, S. E., & Wang, Y. (2017). Paternalistic leadership and employee creativity: A mediated moderation model. Journal of Management & Organization, 1-20. 7.Tang, C., Zhang, G., & Naumann, S. E. (2017). When do structural holes in employees' networks improve their radical creativity? A moderated mediation model. R&D Management, 47(5), 755-766. 8.Tang, C., Zhang, G., & Naumann, S. E. (2017). Do central country authors of international co-authored publication networks obtain a high research impact?. Malaysian Journal of Library & Information Science, 22(3), 1-17. 9.Zhu, W., Chen, Q., Tang, C., Cao, G., Hou, Y., & Qiu, J. (2016). Brain structure links everyday creativity to creative achievement. Brain and cognition, 103, 70-76. 10.Tang, C. (2015). Accessed external knowledge, centrality of intra‐team knowledge networks, and R&D employee creativity. R&D Management. 11.Tang, C., & Kaufman, J. C. (2015). Personal characteristics that distinguish creative scientists from less creative scientists. The Journal of Creative Behavior. 12.Tang, C., & Naumann, S. E. (2015). Team diversity, mood, and team creativity: The role of team knowledge sharing in Chinese R & D teams. Journal of Management & Organization. 13.Tang, C., & Naumann, S. E. (2015). Paternalistic leadership, subordinate perceived leader–member exchange and organizational citizenship behavior. Journal of Management & Organization, 21(03), 291-306. 14.Tang, C., & Ye, L. (2015). Diversified Knowledge, R&D Team Centrality and Radical Creativity. Creativity and Innovation Management, 24(1), 123-135. 15.Tang, C., Baer, J., & Kaufman, J. C. (2015). Implicit theories of creativity in computer science in the United States and China. Journal of Creative Behavior, 49(2), 137-156. 17.Tong, D., Li, W., Tang, C., Yang, W., Tian, Y., Zhang, L., & Zhang, Q. (2015). An illustrated heuristic prototype facilitates scientific inventive problem solving: A functional magnetic resonance imaging study. Consciousness and Cognition, 34, 43-51. 1.Tang Chaoying, Bao Xinhua. A Case Study of R&D Team’s Development Process in Chinese Academy of Sciences. Proceedings of the 6th international symposium on Management of Technology, Oct.23-25, 2009. Hangzhou, China,243-246. 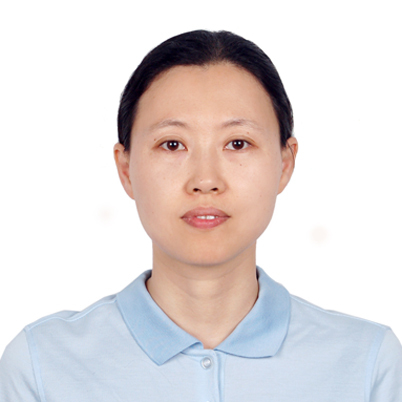 2.Tang Chaoying, Gong Zenglian.The Modurate Effect of Emotion Norm on Two Types of Conflict and Emotion of the R&D. Proceedings of the 6th international symposium on Management of Technology, Oct.23-25, 2009. Hangzhou, China,189-192. 3.Tang Chaoying, Guijie Li, Zengliang Gong. Group Mood, Knowledge Sharing and Project Group Brainstorming Productivity. 2008 Jun.27th-30th,International Conference on e-Risk Management，Atlantis Press,714-719. 4.Li Yuan, Tang Chaoying, Gao Peng. Chinese Validation of the Team Climate Inventory: A Measure of Team Climate for Innovation in R&D Teams. The 5th International Conference on Innovation and Management, December10-11, 2008, Maastricht, the Netherlands, 2008,861-867. 5.Gao Peng, Zhang Ling, Tang Chaoying, Li Yuan .An Empirical Research on the Impact of Trust, Conflict and Constructive Controversy on Creativity in R&D Team. The 5th International Conference on Innovation and Management, December10-11, 2008, Maastricht, the Netherlands, 2008, 342-347. 6.Tang，Ma, S.M.，Gong, Z.L. How Leader-member Exchange Quality Influences the Team Cohesiveness. Proceedings of the 2008 international conference 2008 International Conference Technology Management and Innovation in China: Challenges and Opportunities in the 21st Century,510-516. 7.Ruimin Pei,Chaoying Tang,Peng Gao, Junyong Wang. Impact of Inner Structure of Organizational Justice on Team Performance: the Mediating Effect of Organizational Citizenship Behavior. The 5th International Conference on Innovation and Management,December10-11, Maastricht, the Netherlands, 2008, 354-361. 8.Chao-ying Tang, Li-bin Liang. (2012) Growth needs, compensation design, intrinsic motivation and R&D creativity. Proceeding of international Asia conference on industrial engineering and management innovation (IEMI 2012), 849-853. 10.Chaoying Tang, Daren Wei, Linna Ye. (2013) Knowledge network and R&D Creativity. 2013 International Conference on Industrial Engineering and Management Science (ICIEMS 2013). 11.Chaoying Tang & Jingjing Zhang. (2013) The Mediating Effect of Mood on Paternalistic Leadership and Team Performance. 2013 International Conference on Industrial Engineering and Management Science (ICIEMS 2013). 1.McShane and Won Glinow (edt.) Organizatioal Behavior [Essentials] (McGraw-Hill companies, 2007), Renming University Press,2008. 2.Keith Sawyer, Genius Team, Renming University Press, 2009. 3.McShane and Won Glinow (edt.) Organizatioal Behavior (McGraw-Hill companies, 2014), Renming University Press, 2015. 3.2015-2018， leader of the National Nature Science Foundation of China,“A study of the multi-level model of R&D team creativity in innovative enterprises”(project number 71473238). 4.2015-2018, participate in EU granted project Erasmus+ KA2 - Cooperation for Innovation and the Exchange of Good Practices, Strategic Partnerships for higher education, “Creativity E-modules in education”. 5.2015-2017, leader of a project of Science and Technology Development Bureau of Chinese Academy of Sciences,” Resources integration and the commercialization of science and technology output in Chinese Academy of Sciences”. The contracted instructor of HP company (creativity course, 2014-2015). 1.Vice president of the Chinese Creativity Education Association of Primary and Middle School. 2.Member of editorial board of the journal: Creativity and Innovation Management (SSCI). 3.Peer reviewer for several international journals: R&D Management, Creativity and Innovation Management, Thinking Skills and Creativity, Technovation, The Spanish Journal of Psychology, Asia Pacific Journal of Human Resources, Computer in Human Behaviors, Journal of Creative Behavior, and Chinese journals.